BEST KISS KRUISE EVER! We ALL ROCKED!. See you next Kruise! In celebration of the 40th anniversary of the KISS Alive! 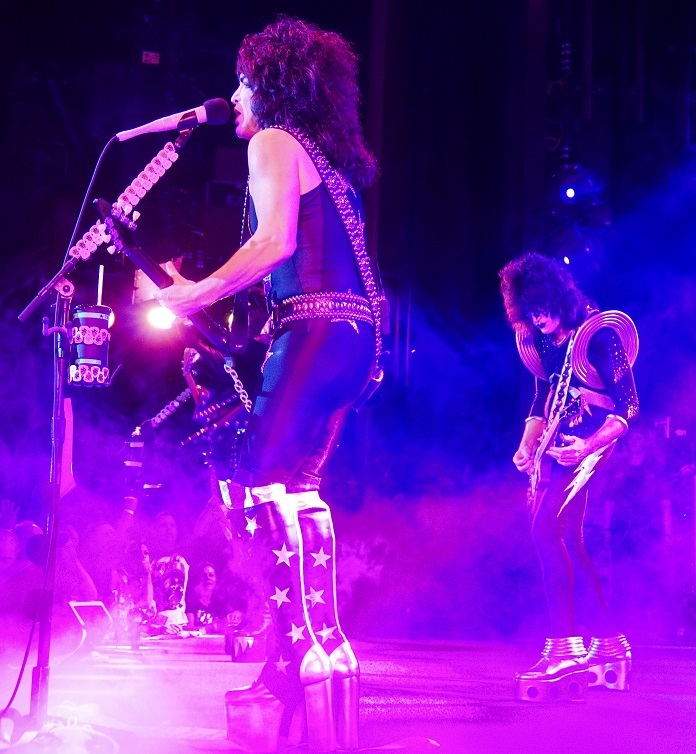 Tour, Paul Stanley will add some Gibson Flying Vs into his arsenal of stage played guitars during both KISS Kruise V Alive shows! 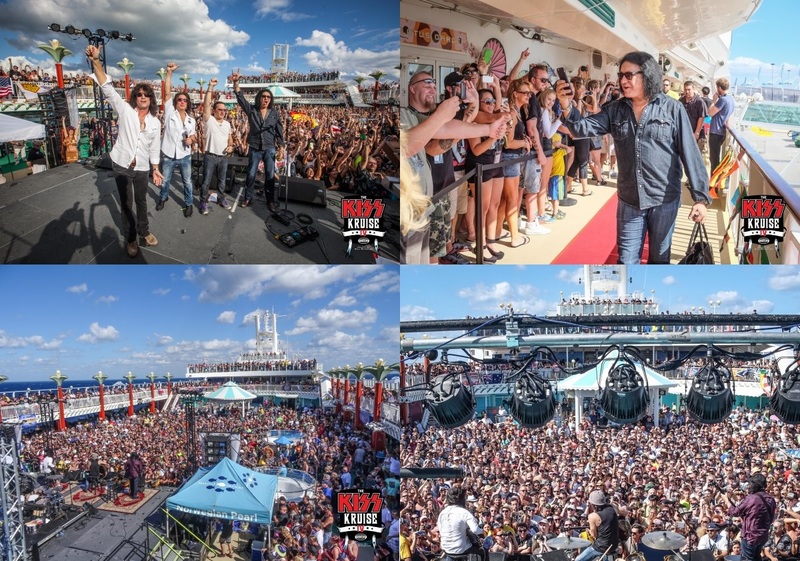 Last year, Paul Stanley had an amazing time with fans during his private Q&A event aboard KISS Kruise IV. 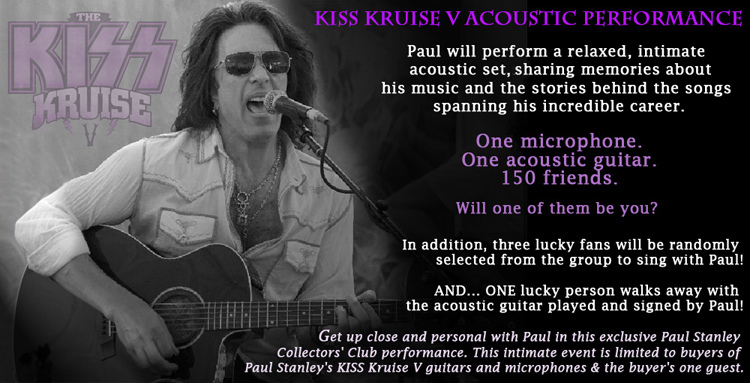 This year, Paul has decided to up the ante for KISS Kruise V, and boy, has he ever! PAUL STANLEY KISS KRUISE V LIMITED EDITION IBANEZ GUITAR AVAILABLE NOW! To celebrate the fifth anniversary of the KISS Kruise, Paul Stanley is offering a maximum of 50 members of the KISS Navy a very special Guitar + Meet & Greet opportunity aboard KISS Kruise V! 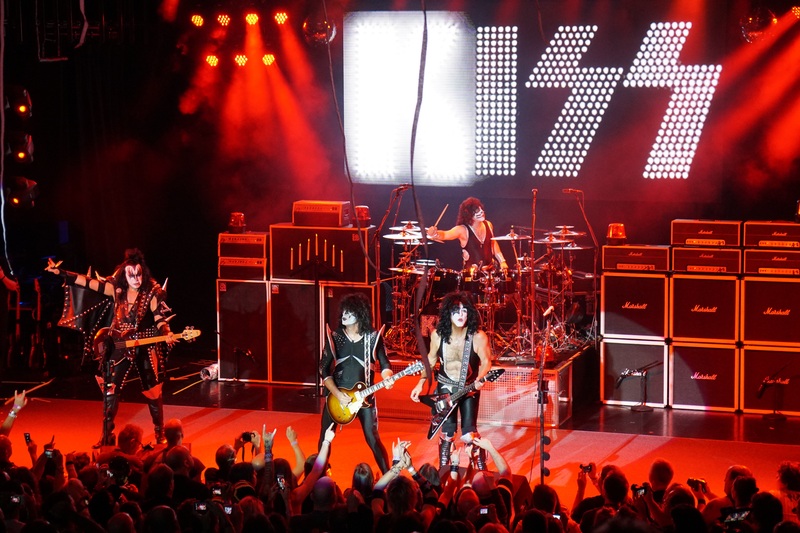 KISS KRUISE V HEADING TO JAMAICA! We can’t wait to celebrate this milestone of a 5th Kruise with you and are excited to recreate KISS ALIVE in it’s entirety and in order, dressed as we were in 1975. Over the past 10 years, music-themed cruises have become big business raking in millions of dollars each year, beckoning a whole generation to come sail away. 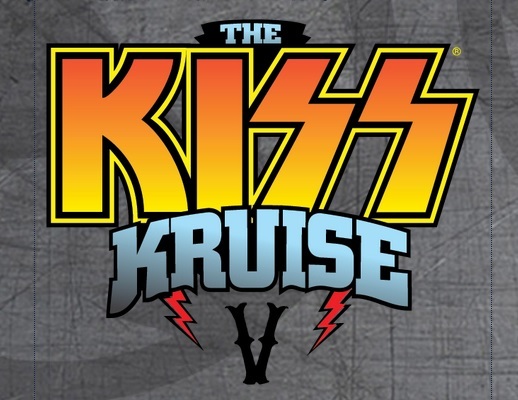 ONLY 40 KABINS LEFT ON KISS KRUISE IV! 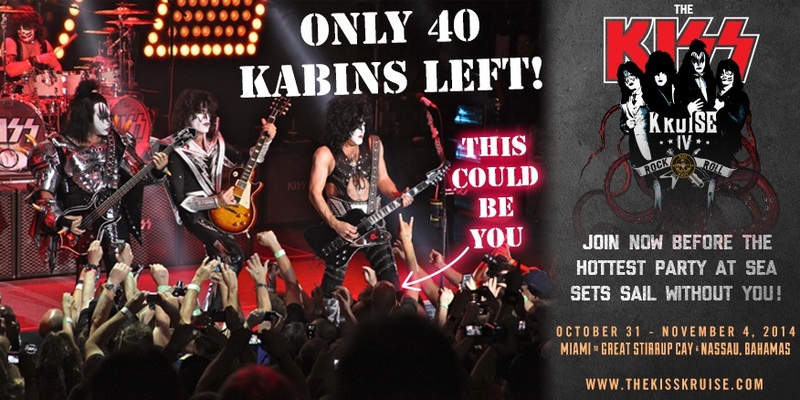 There are only 40 Kabins left on The KISS Kruise IV!